Takeoff and landing distance testing is an important task. It provides the data needed to complete the Pilot Operating Handbook (POH), and it provides a vehicle to become intimately familiar with the handling qualities and behavior of the aircraft at the slow end of the spectrum. The goals of this testing can be somewhat diverse, though. For example, one goal might be to establish recommended approach speeds, power settings and sink rates, while another goal could be to define the maximum performance the aircraft is capable of delivering. My previous experience with my Sonex led me to believe that the basic handling qualities, speeds and techniques could be "reused" with this aircraft, and I already felt very comfortable with this. I simply wanted to confirm the handling and performance numbers of the new airplane and complete the POH charts. 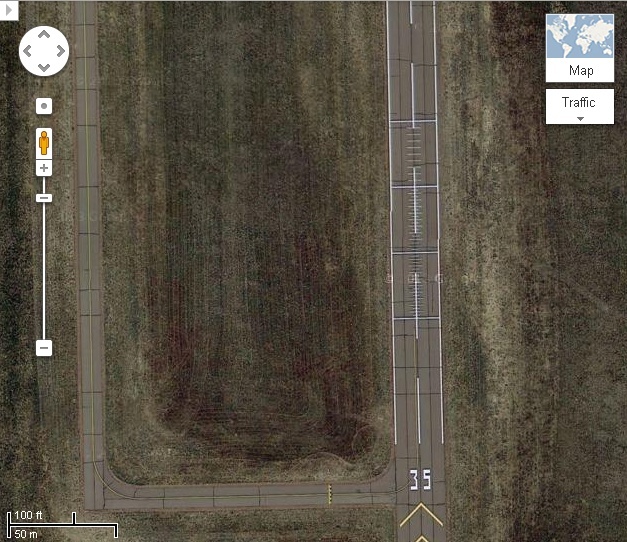 Additionally, I wasn't looking to determine maximum performance, such as the absolute shortest takeoff distance. In my opinion, this was of limited usefulness; having a super-short takeoff number is great for bragging rights and that occasional tight spot, but how often am I likely to need that maximum performance takeoff? A much more useful test focuses on the "typical" takeoff. I define a typical takeoff as one that uses a common takeoff technique, requires no extraordinary attention to detail or precision in execution, and can be reasonably executed 90% of the time. In other words, if I just go out and fly without thinking too much about it, what can I reasonably expect. This inherently builds in a large safety margin into the performance charts contained in the POH. I know with a little more attention to detail I can beat the book figures, and I rarely have to worry about being worse. I'll just have to live with the "embarrassment" of having the longest takeoff distance in the fleet! 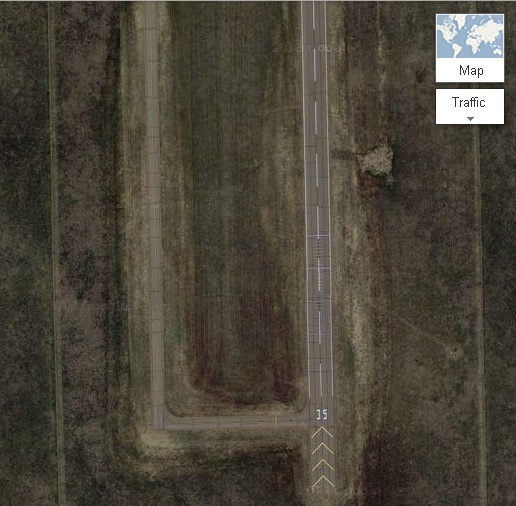 To perform this test series, I flew to a nearby airport that gets almost no use. The runway is in good condition, with clear approaches, and has convenient distance marking painted across the surface. This would allow me to make a note of my liftoff or touchdown points without requiring an observer on the ground. I then confirmed the distances using Google Earth and called it good. I'll mention my notion of "acceptable accuracy". To me, accuracy to nearest 100 ft is acceptable. At takeoff speeds, if the actual distance is off one way or the other by 25, 50 or even 75 ft, that translates into about 0.5-1.0 seconds in the cockpit. If your takeoff is 1 second from disaster, then it most certainly isn't a "typical" takeoff! 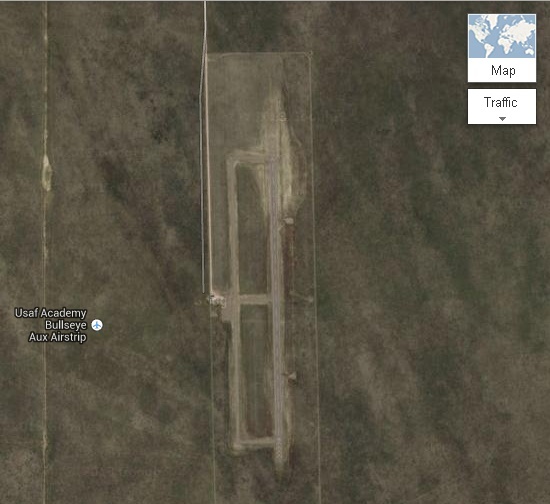 The following images show the layout of the airport and the marking I used for reference. The data collected was then entered into my spreadsheet for analysis. There are two tasks that are accomplished. First, some attempt has to be made to "normalize" the data. My test data was gathered at 7,000 ft Density Altitude (DA) with a 5 mph headwind. The data needs to be corrected to remove the effects of the added DA and wind, returning it to Sea Level (SL) no-wind performance. Using well-established rules of thumb (see the spreadsheet) the "measured" perfomance was corrected to "SL no-wind" performance. From here, the second task was performed mostly automatically - calculating the full performance charts for Takeoff and Landing distances at various DA's and weights. 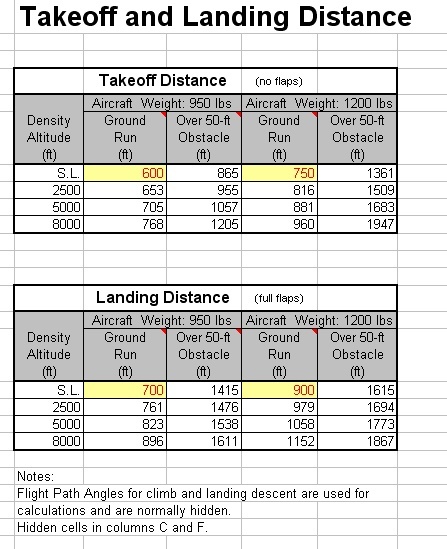 All my tests were performed at 950 lbs, and the spreadsheet calulated an expected distance at gross weight (1200 lbs for this aircraft). I'll go back and fly a couple of tests at full gross to confirm, but in past experience, they usually come out pretty close. The final result is two charts that contain the applicable performance numbers that are ready to place in the POH. If you're done climb tests and crunched those numbers to produce climb angles, then the spreadsheet will automatically calulate distance over a 50-ft obstacle as well!